I went into this one much like all my other books, blind. I wanted the story to formed as I read instead of anticipating something happening, plus its Kerrelyn I absolutely loved her vampire series and knew she was good at comedy. 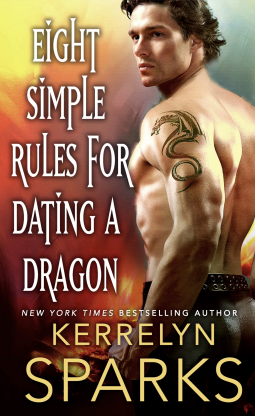 I was looking for a good romance featuring dragons so I dove right into this one. I haven't read the other books in this series and perhaps that would have laid the groundwork of the world a bit more, however, this is the third book and it does read in a way that lets you jump right into the story. We meet Gwen who is trying to get away from the naysayers at court while she is hanging out with her niece and their decision to have fun leads to an adventure. Striving to not leave her niece behind, Gwen goes after the dragons and from there the story unfolds. I really loved how sassy she was even while being scared. She was determined to not let her family down. I absolutely loved her interaction with the dragon and cracked up at the name she gave him. I had to laugh imagining a fearsome dragon looking back at the little woman who dared to call him that nickname and to take him to task. General Silas is trying his best to save his country which is fighting on the brink of extinction while fighting a bloody war and dealing with betrayals from within. 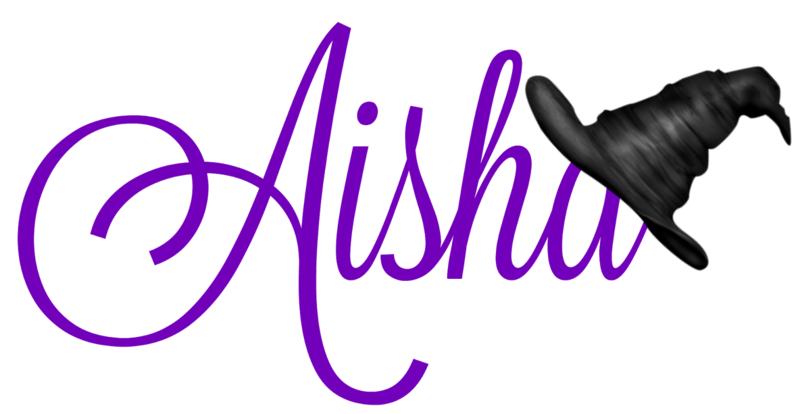 For centuries his family has been cursed and now that curse has spread to his people and he's desperate to save them. When an Elf with the gift of healing lands in his court he can't help but convince her that she needs to stay and help him. As the story unfolds I was hooked to the mystery of the curse and illness. And when that is unraveled I was so saddened, all for greed. How selfish, so many people suffered. I loved reading the story and realizing it was happening so quickly as Gwen was wont to note it has only been a few days, a week, man she was well aware of time in this book. Gwen's personality moved quickly between two and it felt like she wasn't sure who she was supposed to be, and because she was confused at times I felt confused as well. Her insistence on not thinking about things when she needed to made me look at her with a mean side eye. Silas at times also made me angry because he knew things he should be telling her and insisted on using it to his advantage for a while. It wasn't until someone else took him to task that he made moves to rectify it. So no bueno Siles, not cool. I did enjoy the slow build of the relationship as Gwen had to come to terms with her place in this new kingdom and what she wanted for herself. Silas was more certain of himself but was lost when it came to ways to save his people and when it appeared Gwen could help him he bribed her into staying. I absolutely loved the friendships and familial relationships in this book. I loved how close Gwen was to her sisters, how much Silas loved his brother and his cousins. I really enjoyed the lore of the dragons, the family history and getting to know more about he world of this series. While I really enjoyed the romance, the world and the story being told I kept wondering how comes in a world where the supernatural beings are at the top of the food chain they are not as preferred as humans are?? You're telling me even in a world where dragons and the Fae exist, humans are the standards of beauty?? Are you for real?? And even in this world black and brown people don't exist?? I'm not sure why Gwen was so down on herself, if you are raised in a loving family and you have self-esteem, how come a few people not liking you which is a recent event suddenly makes you doubt everything you learned before?? it's almost like she had nothing to fall back on. I really enjoyed reading several scenes where Gwen didn't see the irony in pushing someone she has recently become friends with into seeking their desired relationship while doing exactly what that persons intended was doing. I will give a bit of warning, this is written like it's a historical romance with castles, caste systems, horse and the like but uses modern terminology and lingo. I'm not sure if it matters to anyone else but at times the description of scenes would through me when the characters would talk and I had to remind myself it's not a historical story. I thoroughly enjoyed the story despite a few hiccups within and found myself laughing at certain scenes, quickly reading to find out who the ultimate villain was and if the curse would be broken. If you're looking for a good adventure romance with dragons this is one of the good ones. I hope you enjoy! !